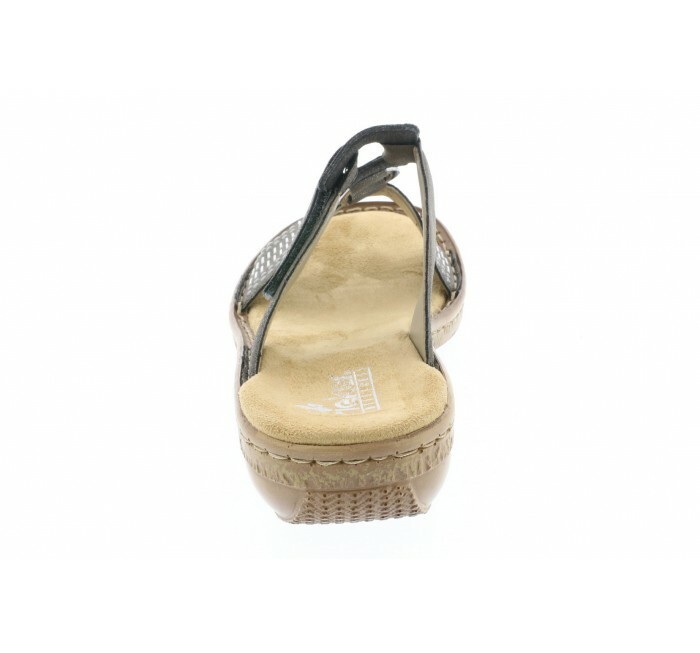 Get in zen mode with country garden charm in the Regina 54 slide sandal by Rieker. Unlined synthetic upper with metal stud decorations. Easy slip-on with an adjustable hook-and-loop closure. Lightly cushioned footbed. Flexible PU outsole.